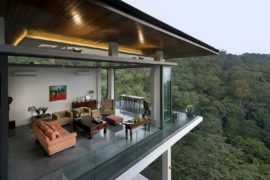 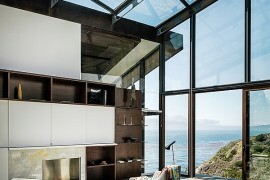 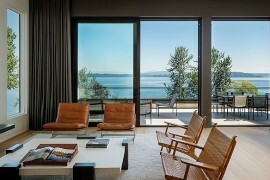 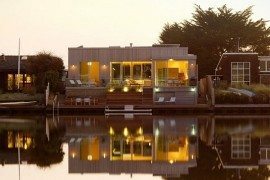 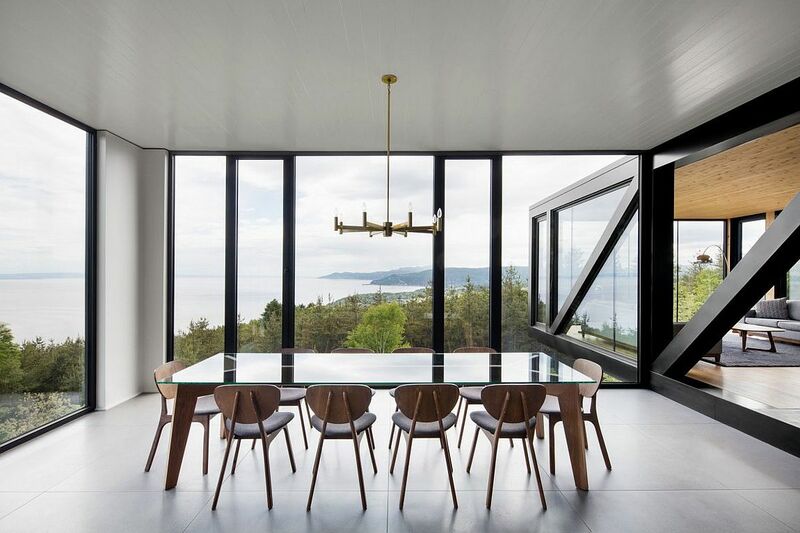 When it comes to the design of modern homes and retreats, maximizing the view is increasingly becoming the primary concern of both homeowners and architects. 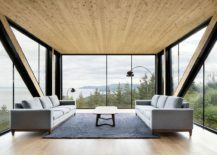 Even urban apartments packed into contemporary skyscrapers are becoming all about the glittering view of the city skyline outside the window. 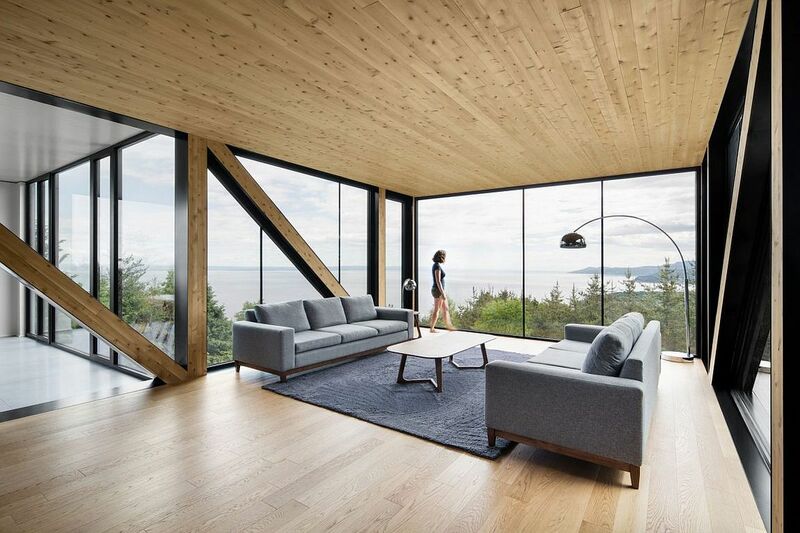 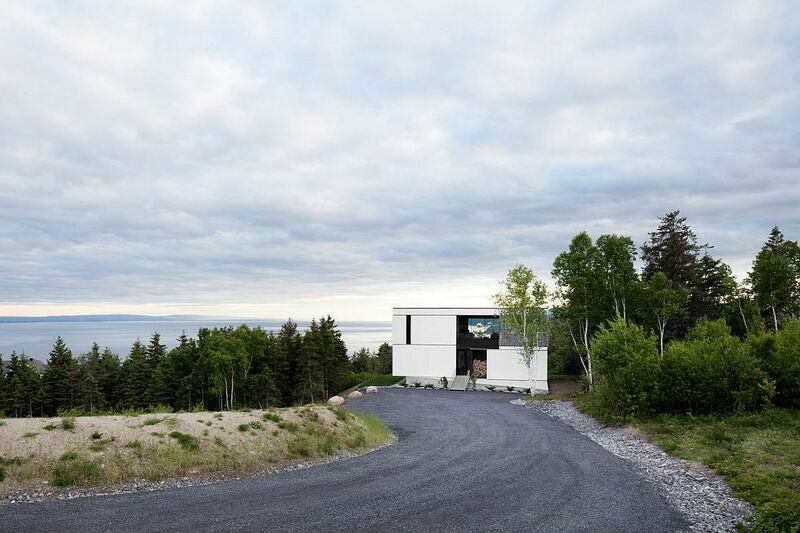 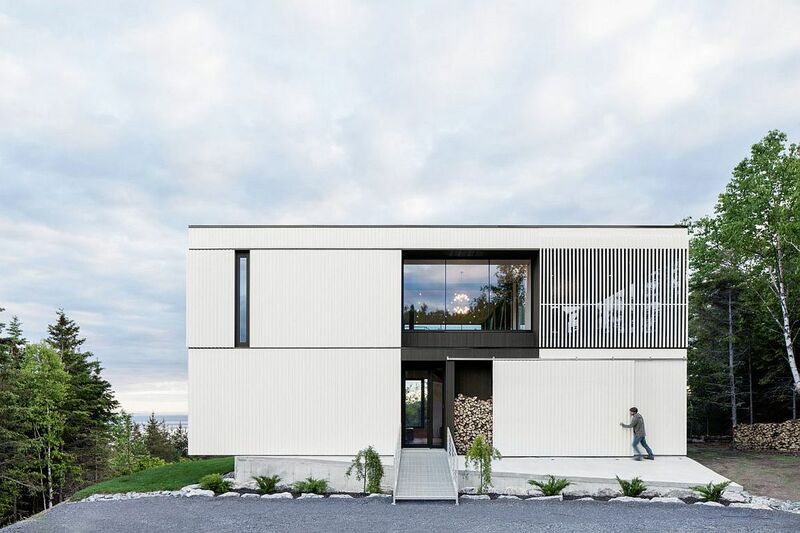 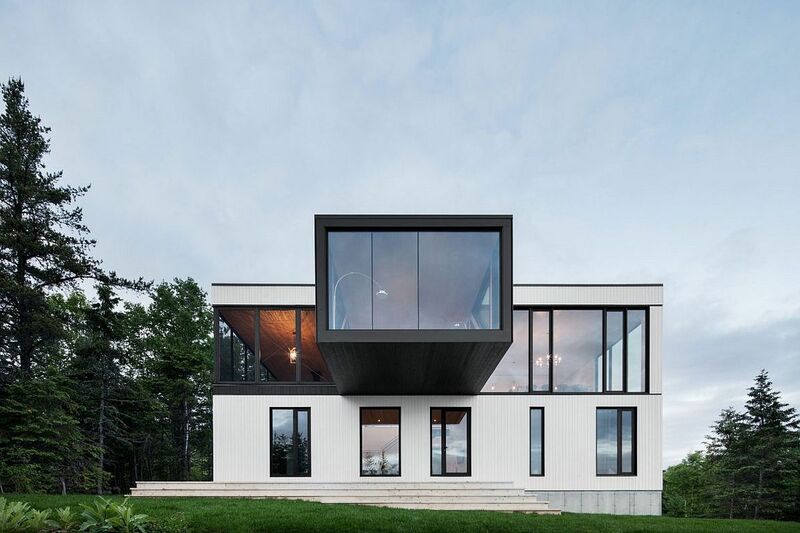 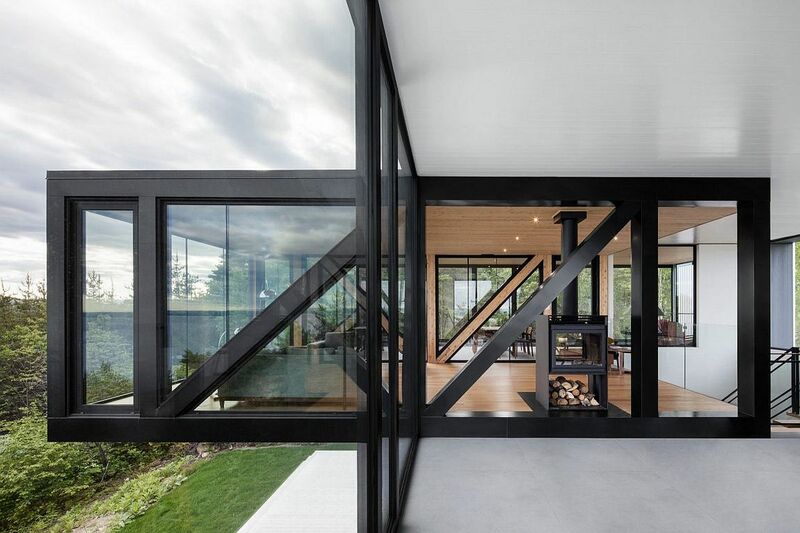 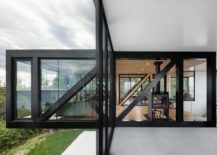 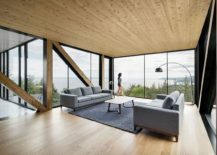 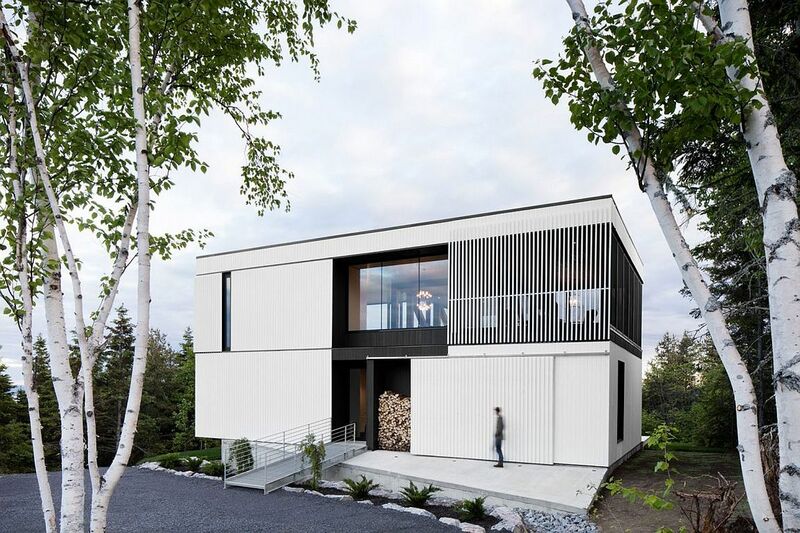 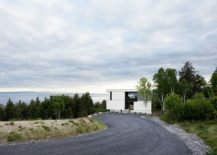 It is barely a surprise then that the spectacular “Blanche” Chalet in La Malbaie’s area of the Terrasses Cap à l’Aigle in Quebec, Canada turns to a stunning overhang with glass walls to make the most of the scenic view on offer. 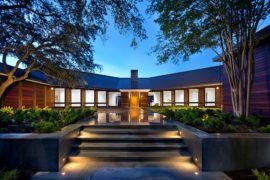 Designed by ACDF Architecture, this is a family retreat that combines traditional and modern architectural elements in sensational style. 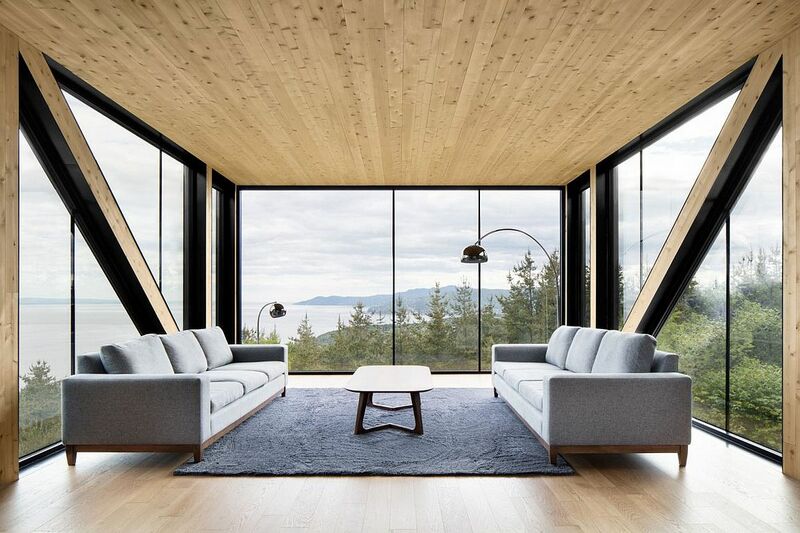 Concrete, wood, glass and steel – there is plenty of contrast on offer at this beautiful escape, even as each individual element effortlessly combines with the next to create a curated and refined contemporary structure. 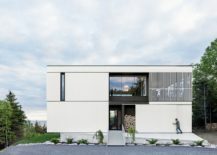 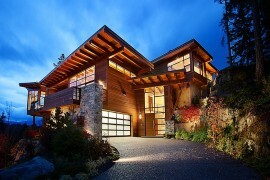 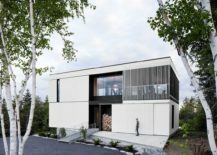 It is raw concrete that makes up the foundation and base of this modern cottage, with white stained wood and glass assuming prominence while crafting the exterior. 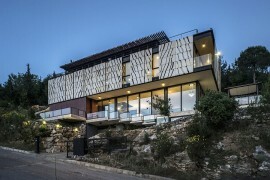 This gives the structure a refined contemporary appeal, even while evoking images of classic chalets in the region that are clad in lime plaster.